The Authoring Tools/SCORM™ editor and e-Learning platform are updated with version 2.5.20, which introduces several important improvements. 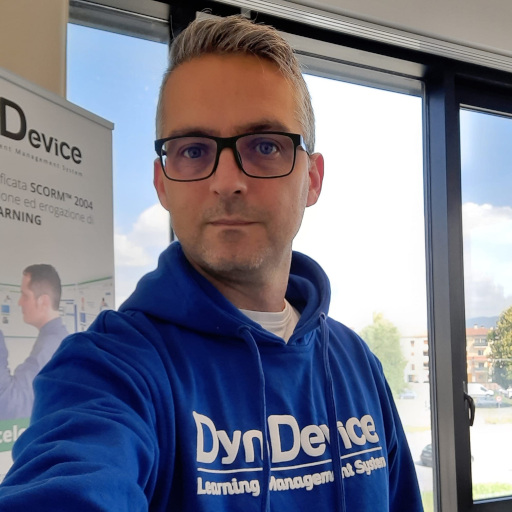 Upon completion of standard quality tests, the latest version of Dyndevice LCMS (e-Learning platform, SCORM editor and authoring tools) has been released. 28/11/2014 - Framework version 1.3 is out! Today we have released version 1.3 of DynDevice ECM framework on the whole Mega Italia Media cloud. There's a new release for Mega Italia Media's DynDevice LCMS SCORM™ editor and e-Learning platform. The e-learning platform DynDevice LCMS is available in English: user interface of control panel, manuals, instructions for every functionality of the platform have been translated for the professional user.